By default, SEBLOD search functionality retrieves and displays information from a single database table. The "Search Join" field enables you to combine data from different tables, which are not managed by a unique content type. A “search join” field can be used instead of a multi-stage search when the relationship between steps is not established by identifiers. The principal is to relate the columns of different tables. The configuration of a “search join” is composed of several “Left Join” lines.These lines are read from right to left. On each line, the right-hand table and column must be known already in the query. 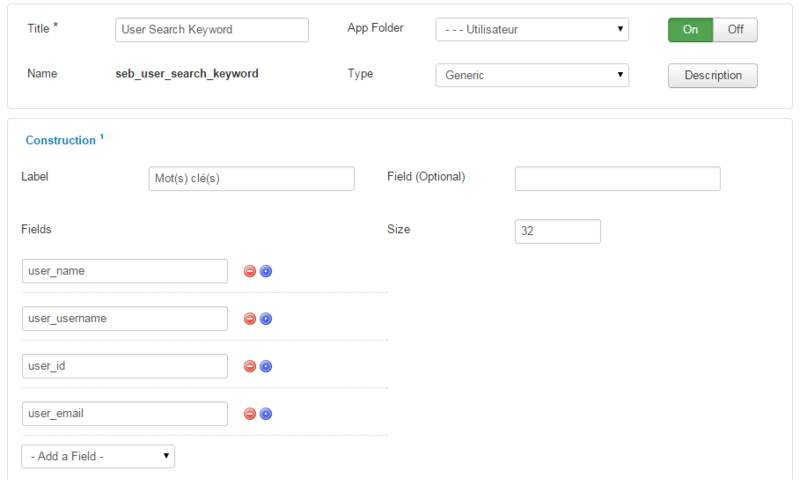 So, in the example below, we have a Search & List type based on the the User Content Type. By default, creating this search type is querying the #__users table, so we are able to use that in the Left Join (1) row on the right hand side. The following example will step through using the Search Join field to create a user manager in the front-end of your website. Add the field “CCK” to the search form view and select variation “hidden”. 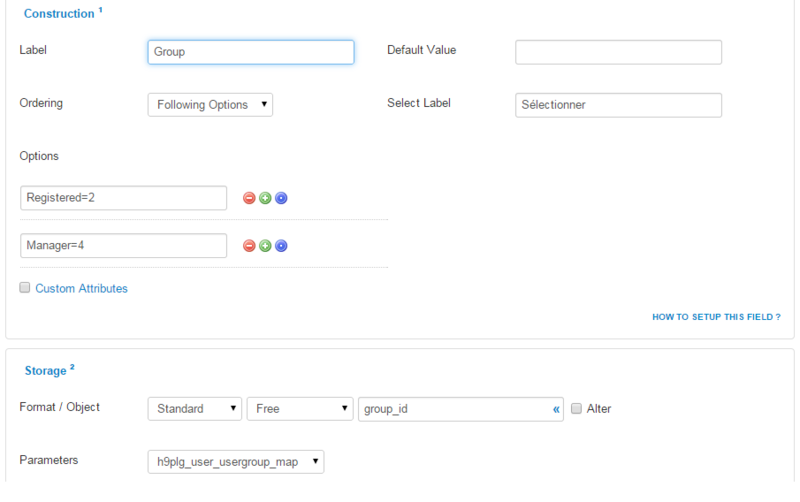 Left Join (2): Following on from the previous line, this line is then looking at the group_id that is associated with the user_id in the #__user_usergroup_map table. With this group_id value, it is then looking in the #__usergroups table and finding the associated id within this table. So, we've queried the database to find a User's ID, and then we've found the User Group ID that's related to that user. 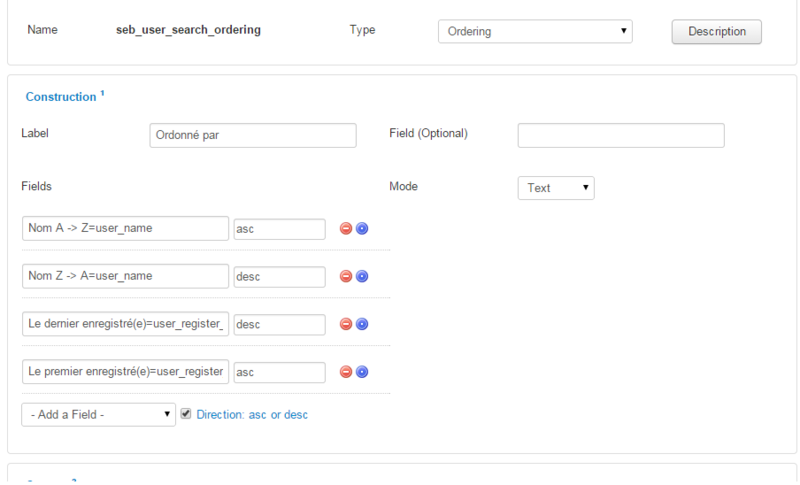 Add some user-defined search ordering functionality using the Search Ordering field.